The story of sculpture is carved into the landscape, taking all shapes and sizes, capturing a moment, claiming a space. Once in a while, the work of a great artist takes its place in history. With a range of materials and a forum of ideas more diverse than ever before, where will the next sensational sculptor be found? ‘CNN Ones to Watch’ in March explores this three-dimensional art form to find out which artists have the tools for the top. One of the best-known sculptors working today, Antony Gormley, shares his thoughts on the state of the art, and the programme has enlisted two prominent voices – director of London’s Tate Modern Chris Dercon, and eminent British art critic Estelle Lovatt, to select their ‘Ones to Watch’. Antony Gormley has created over two thousand sculptures based on his own body, the greatest of which is arguably the cast iron ‘Angel of the North’ which towers over the landscape and has become a British landmark. His work is exhibited in public spaces around the world, and he has received prestigious international arts awards including the Turner Prize and Japan’s Praemium Imperiale. As director of Tate Modern, Belgian Chris Dercon oversees the most visited modern art museum in the world; last year, it welcomed over 5.5 million visitors. Once a year, Dercon and his team commission a new artist to fill the largest space in Tate Modern, the Turbine Hall, an important platform for emerging sculptors since its opening in 2000. These commissions can catapult an artist to stardom, and have been a seminal moment in the career of many great artists, among them Ai Weiwei and Anish Kapoor. Respected British art critic Estelle Lovatt believes South African sculptor Jonty Hurwitz is an artist taking the art of sculpture to new extreme, having worked with Hollywood animators and micro-physicists to create the world’s smallest sculpture. ‘CNN Ones to Watch’ captures Hurwitz’s figure of a woman who can only be viewed through a microscope, as she dances delicately on a single strand of human hair. His quest to merge art and science is limitless – he makes vast bronze sculptures using algorithms and mirrors which play with perspectives. The programme follows Hurwitz in the laboratory at one of the world’s leading universities in engineering and natural sciences, Karlsruhe Institute of Technology in Germany, as the alchemist turned artist crafts a new work. Via: CNN Press Room, the official website for CNN’s public relations team. Voted for by the British public, the artworks on Art Everywhere posters may be the only place where they can be seen. Kitty Knowles on why so much remains in storage. As the best of British art is displayed on posters for all to see for the nationwide exhibition Art Everywhere, nearly half of the original works are tucked away in storage. Art Everywhere, now in its second year, will plaster 25 artworks, as voted for by the British public, on 30,000 billboards around the UK over the next five weeks – but 11 of these are not currently on public display in galleries. Art critic and historian David Lee said that it was “typical laziness on the part of the current art establishment” that some works are not available to see. “Works that are considered to be the core masterpieces of British art should be on display all the time,” said Mr Lee, editor ofJackdaw magazine. Stephen Deuchar, co-founder of Art Everywhere and director of the Art Fund, which has helped museums and galleries buy works of art for more than a century, defended the exhibition. He said the reproductions should be seen as “meaningful and moving” art objects in their own right. The vast majority of the longlist was on display when it was selected, he added, insisting that the chosen works are all frequently on display. “I hope that any museum that sees its work on the list that hasn’t shown the work for a while will do so immediately and will hopefully benefit from the revival of public interest in it,” Mr Deuchar added. Patrick Caulfield’s Pottery, Gilbert & George’s Existers and Gillian Wearing’s I’m Desperate are among the works currently stored by the Tate. Other originals in storage include pieces by Eileen Agar, Stanhope Forbes, Rose Wylie and Ben Nicholson. A Julia Margaret Cameron photographic portrait and a William Blake print are currently kept in storage for conservation, but are available to see if visitors call ahead, while works by John Constable, Dame Laura Knight and John Hoyland are due to be displayed in the coming months. Can spending millions on art ever be a good investment? Consider the idea of spending $142m (£89m, 106m euros) on a work of art and then being told you have bagged a bargain. A number of art critics have said that the price paid for Three Studies of Lucian Freud (1969), by Francis Bacon, is money well spent. While the anonymous new owner decides how to insure and where to hang the triptych, stretched householders may wonder how a purchase like this could ever be a good deal. And should they decide to invest in art themselves – at a less spectacular level – then there are warnings that the value of such items can go down as well as up. The Bacon masterpiece became the most expensive artwork ever sold at auction when it went under the hammer after six minutes of frantic bidding. Calculations by The Economist suggest that Van Gogh’s 1890 work Portrait du Docteur Gachet actually cost more at auction if inflation is taken into account. The $82.5m paid for that painting in 1990 is the equivalent of $148.6m at today’s prices, the magazine says. Meanwhile, in 2011, the Qatari royal family paid more than $250m for a Cezanne in a private sale, The Economist adds. All the same, $142m is an eye-watering amount of money, even though there are three paintings in the set, and especially as we are only slowly emerging from a global financial crisis. A total of £782m was spent during the Christie’s auction of post-war and contemporary art that night. 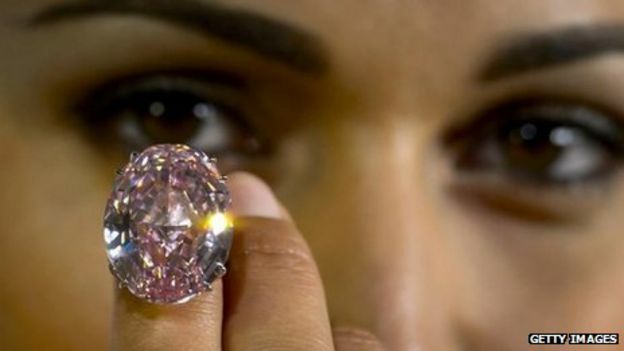 On the same day as the Bacon sale, a diamond known as the Pink Star sold for $83m (£52m, 62m euros) at auction in Geneva – the highest auction price for a gemstone. “At the moment people wonder how come art is securing such funds,” says art critic Estelle Lovatt. “When you consider interest rates at the banks at the moment, your money works much better and the result looks much prettier on the wall or on a plinth. “It has been an incredible year [for art sales], especially given the financial situation. Just a few hours after record-breaking sums were being bid in New York and Geneva, a watercolour work called Portrait of a Lady was sold for £238 at an auction in Edinburgh. Another watercolour entitled Flower Arrangement went under the hammer for £275, and the top sale of the day was a mahogany bookcase that fetched £18,750. Auctions such as this are taking place across the country most days of the week, buoyed in part by the popularity of daytime TV auction shows such as Antiques Roadshow and internet auction sites. Yet, it is a two-pace market, according to Richard Madley, a fellow of the National Association of Valuers and Auctioneers (NAVA). “It is akin to the London housing market compared to the rest of the UK, where prices go up and up in the capital,” he says. “A work by Bacon is like an eight-bedroom house in Belgravia, while the chest of drawers is the two-bedroom cottage in the North East which remains affordable,” he says. While the global super-rich keep spending record-breaking amounts at the top end of the market, prices of domestic, lower-value antiques have tumbled, he says. 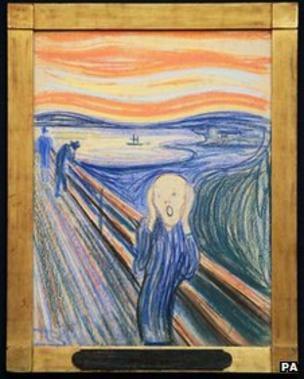 For example, last year, $119.9m (£74m) was paid for Edvard Munch’s The Scream, whereas in the last 10 years the typical price of a traditional dinner service or a Victorian wardrobe has halved. The reason is that masterpieces will usually retain their appeal, while lower level furniture and art are at the mercy of fashion. “Antiques are not cool. Young people in their 30s and 40s do not want what their parents hung on the wall; they do not want a big Victorian extending dining table; they want glass and chrome,” Mr Madley says. Anyone considering taking the risk of investing could look for a lesson in the market for works from China and Japan, according to auctioneer Mr Madley. Bidding for Japanese porcelain hit its height in the 1990s but prices have fallen since. Yet, as disposable income rises in China, the new middle class and wealthy are buying back the heritage that left the country in decades past. Chinese ceramics, bronzes, jade and metalwork are proving particularly popular. In one case, Mr Madley says, a Chinese pottery bowl that had a reserve price of £200 sold for £37,000. A lot such as this is known as a sleeper, which is awoken by frantic bidding. Anyone thinking of buying at auction for the first time should ask for help before the bidding starts, Mr Madley suggests, and they do not need to worry that scratching their nose could be mistaken as a bid and cost them thousands of pounds. “Auctioneers look for serious bidding signals, and bidders now are often given a piece of paper with their number on when they register,” he says. The most important advice when buying art, according to Mr Madley, was a tip he was given as a young man by one of his bosses. “Buy art with your eyes and not your ears. It must give you pleasure to look at it, don’t buy it because someone tells you it will be worth more in a few years’ time,” he says. Still, ask anyone who was at the auction of the Bacon triptych last week, and they will say that as the bidding hit stratospheric levels, they could believe neither their eyes nor their ears. Michael Markieta’s images depicting flight paths across the planet attracted huge interest from our readers. What do the maps reveal? We asked five experts to give their interpretation. Wow, it’s beautiful. It is not only dealing with two-dimensionality, it’s trying to create three dimensions, or four dimensions – giving you a notion that you are travelling across the surface of this image. It’s almost like contemporary fractalisation – based on fractals, those beautiful divisions of science and nature. A number of artists have exploited them. Max Ernst based a lot of his surreal landscapes on fractalisation. I would definitely exhibit these images. They give a great sense of movement and space. I think if Mark Rothko were alive today, he would be extremely inspired by this. Rothko’s half-grey and half-black paintings are sometimes thought of as purely abstract, but he was painting them at the time of the Moon landings. 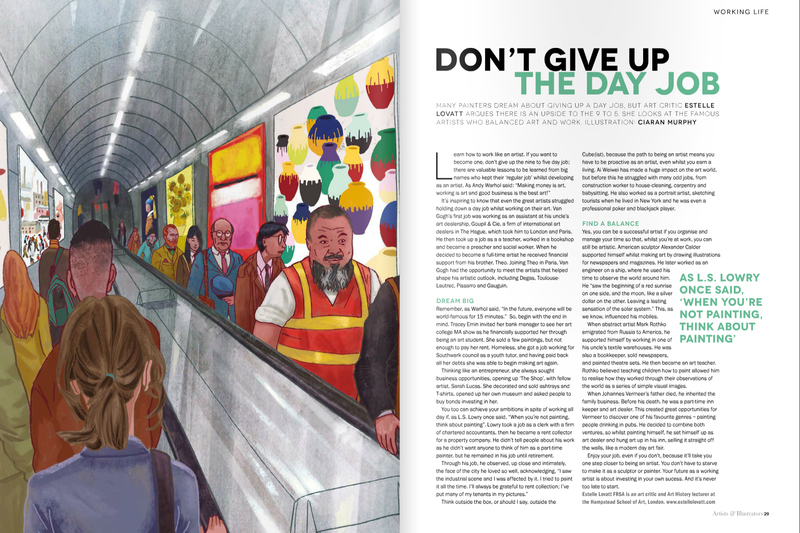 One of the things artists have to do today is to keep up with contemporary visual imagery. They have to embrace modern technology, and an artwork does not just have to be oil on linen in a gilt, beautiful fixed frame. It has to be “of the time” – these are of the time and beautiful abstract shapes, very sensitively done. When you see the three brightest patches – Europe, North America, and East Asia – you are seeing the three main focuses of aviation emissions. I am surprised that the Transatlantic flights do not show up as brighter because emissions are intense there as well. The images re-affirm what we already know. Between 1974 and 2009, cumulatively, Europe was responsible for 38% of aviation traffic, Asia/Pacific was responsible for 29%, and North America for 20%. In climate change talks, there is a lot of discussion about historical responsibility – the countries where the industrial revolution took place centuries ago bear the greatest responsibility. But in aviation it’s different. Long-haul flights, the source of most emissions, began in the 1970s, and we see that Asia is not that far behind. Not just China, but Thailand, Malaysia, Japan, Korea, and Australasia all carry a heavy responsibility. You can see the three main areas of the world producing aviation emissions. They should take the lead in reducing them. Europe looks so bright because it has so many short-haul flights. It’s also one of the busiest global markets and there are several hubs in relatively close proximity in Europe: Paris, Frankfurt, Amsterdam and London. You can very clearly make out American hubs like Atlanta, Dallas, Houston and Denver – there’s a saying in the US that whether you go to heaven or hell, you have to go via Atlanta. The map doesn’t quite reflect that the actual routes change from day to day, depending on variables like wind direction, air traffic control charges and fuel costs. But you can see where things are changing. Asia is really dense with flight paths. In China you have a rising middle class travelling for business and leisure. What we’re going to see in a few years is more connections between Asia and Africa, and South America and Africa, along with more “south-south” trade. Visualisations like this are great. This is very clean and very simple and it gives an instant narrative. But my concern is that there’s a tendency to over-interpret these kinds of pictures. This is a snapshot. You can see the density of the flights, but it doesn’t show you how many people are travelling on them. You could do that by colouring them differently. Speaking as someone who got caught up in Hurricane Sandy last year, it would be good if you could overlay the map and show which flights are vulnerable to environmental risks. The first thing you see is that there are three global hubs – the US, Europe and South-east Asia. If you were to overlay the major cities of the world it would show you most of them. If you were coming from another planet and you were looking at this, you might think there weren’t many people living in Africa or Latin America. It looks like a strange life-form, like seeing translucent plankton in the sea, lighting up in certain parts… and you wonder what’s going on in the darker parts, what kind of life, or activity, is concealed. We are not seeing the life of individual human beings, but the life of the species as a whole, as if the species was one organism, pulsating like a jellyfish. Maybe it represents our collective existence? Because of the darkness, it’s like a side of ourselves that no individual can control or understand. It feels like a dream – the collective unconscious perhaps. In the images where the lights are denser, there is something a bit entangled and manic. It’s not completely peaceful. It’s beautiful, but when you start to look, it’s mad – a mad spider’s web, slightly psychotic.